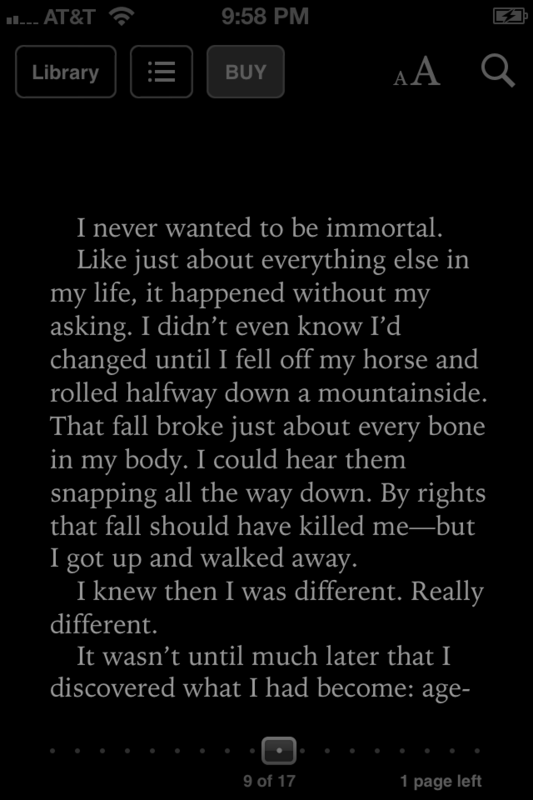 • Nighttime reading theme makes reading books in the dark easier on the eyes. • Full-screen layout lets you focus on the words without distraction. 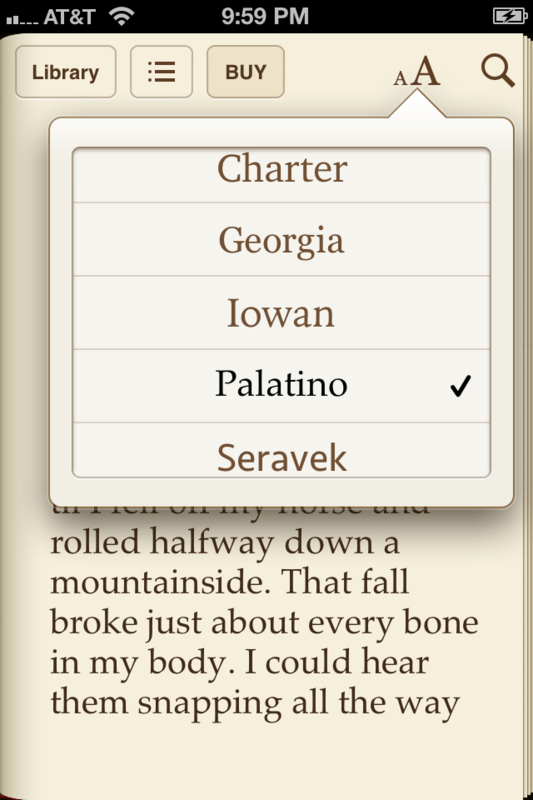 • iBooks now features an improved selection of fonts, including Athelas, Charter, Iowan, and Seravek. • Beautiful new classic covers for public domain books. 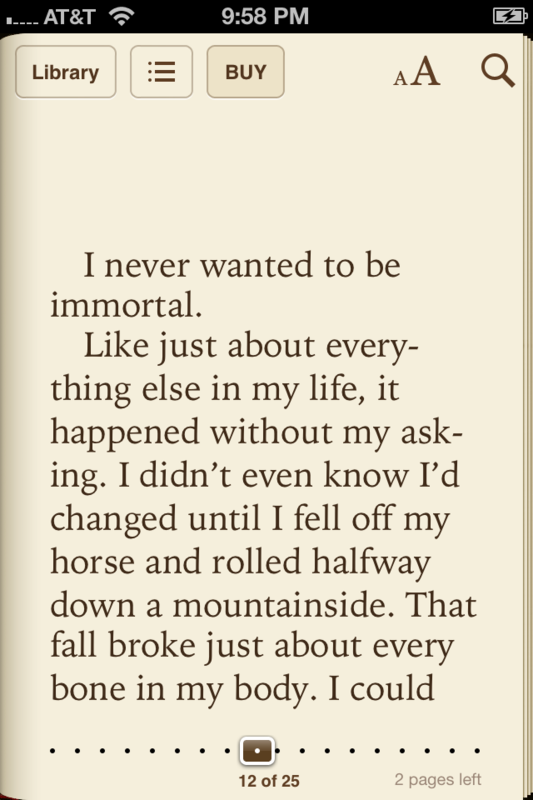 • Support for pop-up footnotes, included in select iBookstore titles. 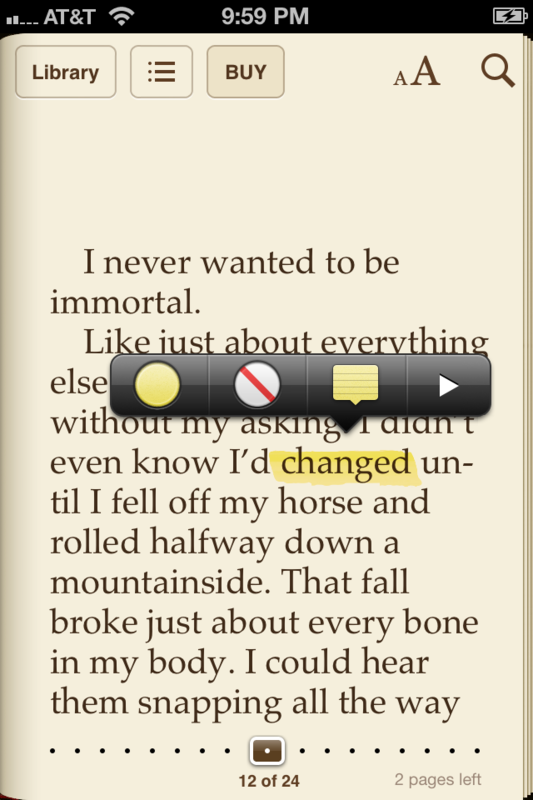 • A redesigned annotation palette makes it easier to choose a color for your highlighted text. Apple also updated their Cards app to version 1.0.1, bringing with it improvements to the checkout process and verification of postal addresses, as well as enhancements to text entry.